Step 1: Measure and cut approximately two feet of twine. Step 2: Thread one bead onto the twine. Step 3: Thread three more beads though both ends of the twine. 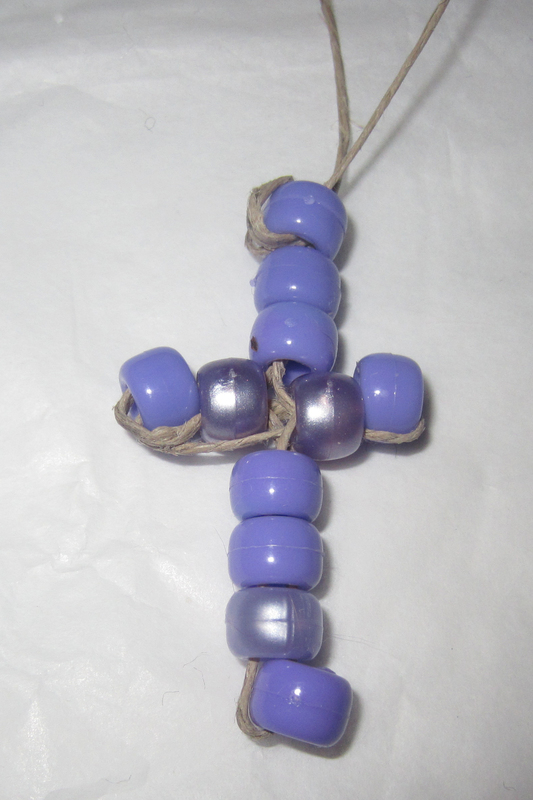 Step 4: Place two beads on each side of the twine. Thread the twine on the right through the two middle beads. Then thread the twine on the left through the two middle beads. Step 5: Pull both ends of the twine together and string three more beads on both ends. Step 6: Tie a knot at the top.